Today it has been a day for the postie to bring me lovely surprises. First off the door bell rang and I opened it to discover two parcels for me. How exciting!The first was a ‘special delivery’ and contained my Tiffany chain, which had been sent off for repair after it snapped. Marvellous service – free repair and polish and packaged up in a beautiful Tiffany box complete with white ribbon. I can now wear my Tiffany key pendant again! I wear it all the time so I have missed it whilst the chain was away being repaired! 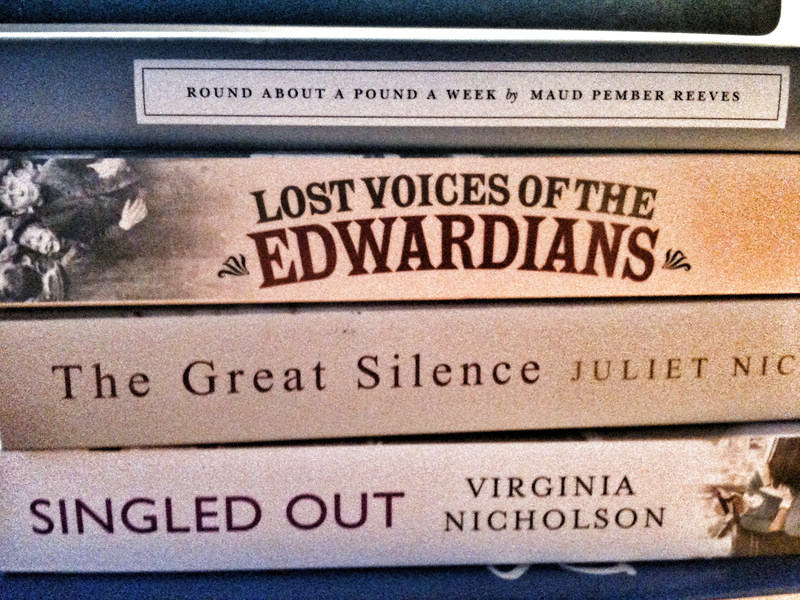 The second was a parcel of books that I won in a competition run by the blogger Little Interpretations. 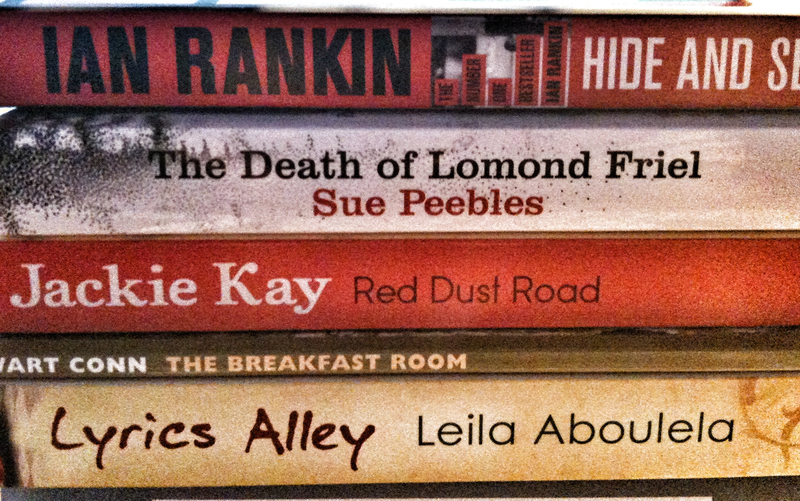 I have never won anything before so I am thrilled to have won this as the prize was BOOKS! And you can never have too many books! I am particularly looking forward to the autobiography Red Dust Road by Jackie Kay, who is a wonderful writer and is also partly responsible for me winning the prize ( I submitted a review of Kay to the blog for the competition). After the first batch of books went missing, Marie kindly offered to source replacements – and it was those that arrived today. The blog itself is a fabulous for anyone (like me) who can’t get enough of books! So THANK YOU MARIE. Also in this parcel was my new 2012 Molesekine Weekly notebook planner … *SIGH*. 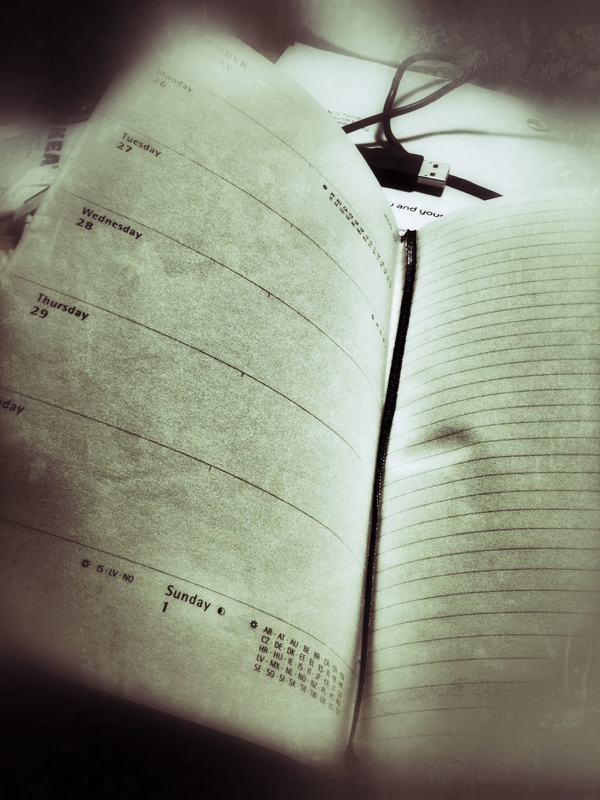 I have missed using this perfect diary! If it’s so perfect why did you stop using it I hear you cry …. Well, my daughter bought me a lovely diary for Christmas last year so I had no need to buy a Moleskine like usual. But I am such a creature of habit that I am almost relieved to be getting near the end of the diary so I shall be able to use the Moleskine again! I am a fan of these notebooks anyway but the planner is perfect as it has a note page for each week, as well as a notes section at the back, which allows me to compile to do lists and jot down thoughts etc without having to carry around another notebook! Perfection thy name is Moleskine! Now all that remains for me to do is read all of them! I could be a whole! Update: My posts about mind mapping and Scrivener generated quite a little debate here and on another website I frequent so it’s good to know that the stuff I choose to share is worthwhile. I really have enjoyed getting feedback and other perspectives on these subjects. Keep them coming. I am still enjoying Scrivener (on day 5 now so that’s pretty good going for me and new software!) and I can actually see me buying the license when the trial is finished. Sadly I haven’t quite managed to keep up the 1000 words a day effort (unless you count the blogs in which case I am over – yeah!) ! It’s a definite ‘could do better’ on that one I’m afraid! Still, as they say, tomorrow is another day! There is nothing like a book delivery! Happy reading.